All members and their families are invited to join us this Sunday evening for our Christmas get together. 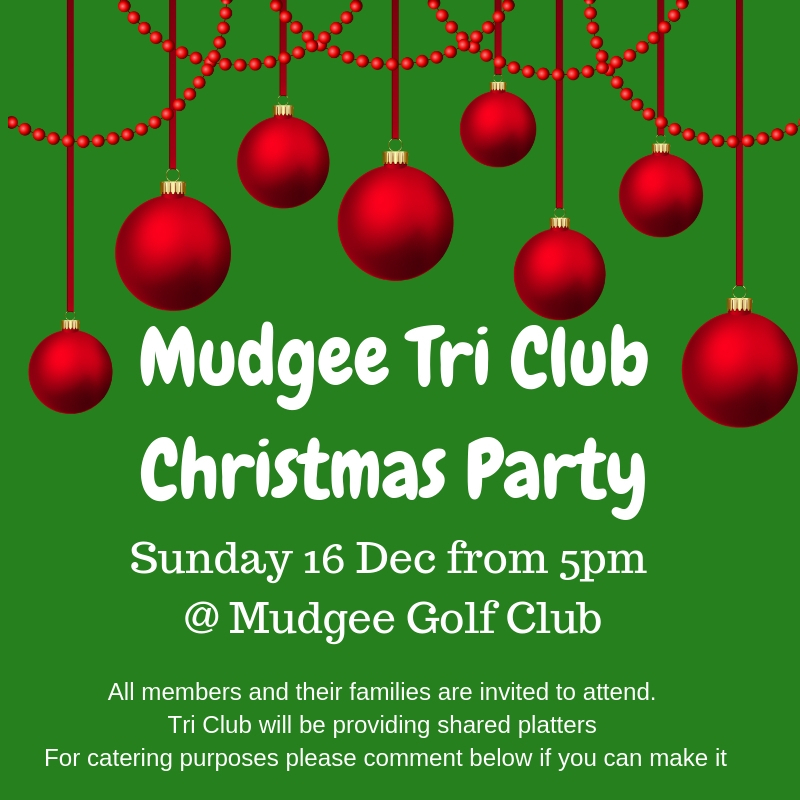 Mudgee Golf Club, Sun 16th Dec from 5pm. Please let us know if you can make it for catering purposes. We hope to see you there.